This poplar wood keepsake chest is hand painted with a pink and brown cross. Chest is meant for a lifetime of use and is perfect for storing your little one's special treasures. There is a first tooth and a lock of hair envelope affixed to the inside lid and a fabric bottom inside. 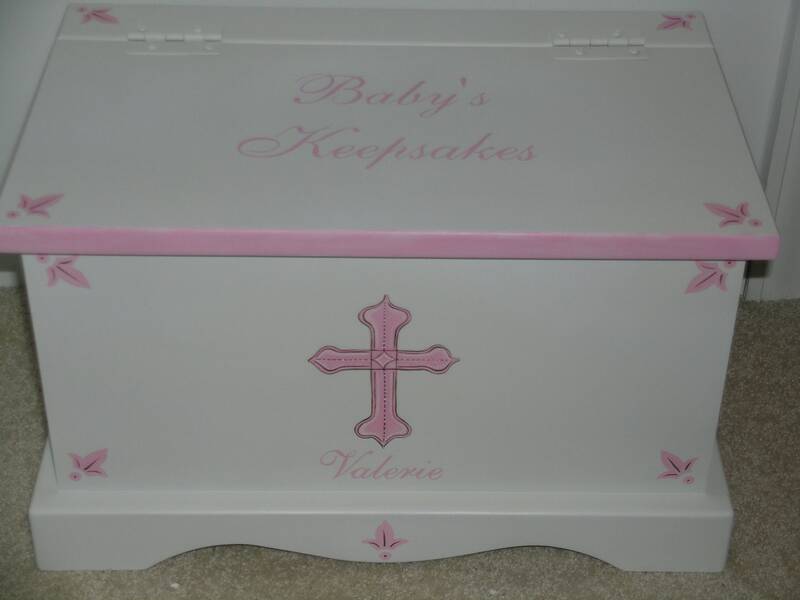 Chest may be personalized with your child's name and/or birth date. Outside dimensions are 18" x 11.5" x 11.5". Inside measures 15.5" x 9.25" x 8.25".